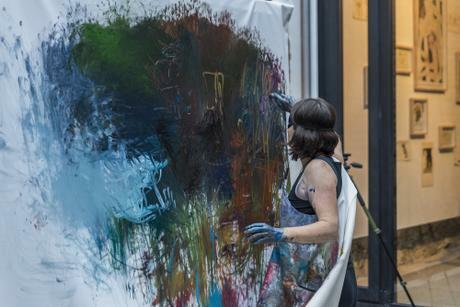 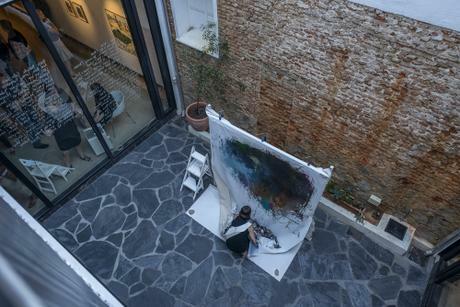 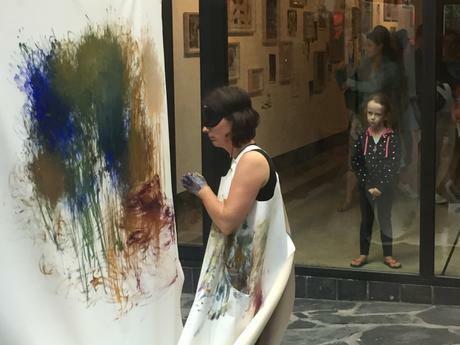 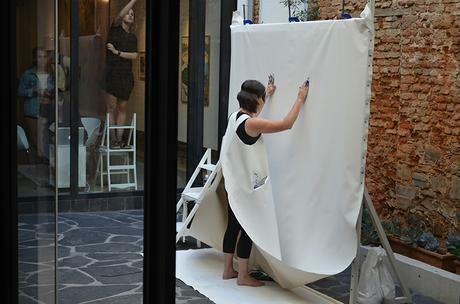 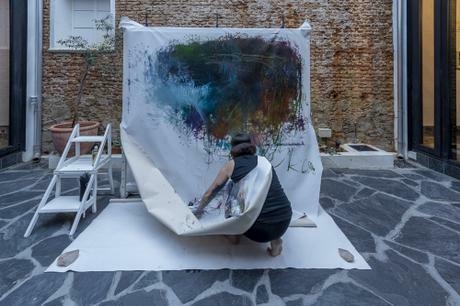 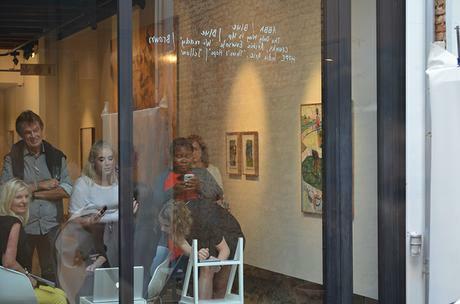 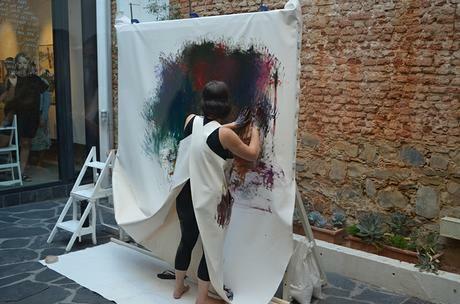 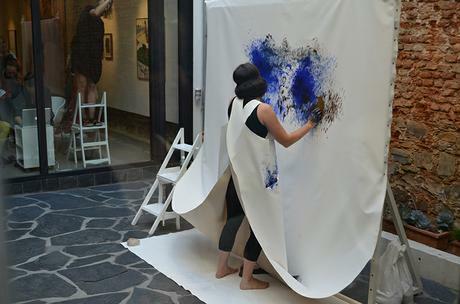 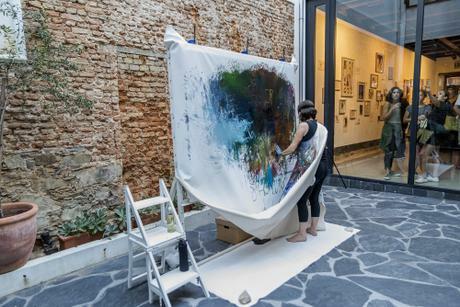 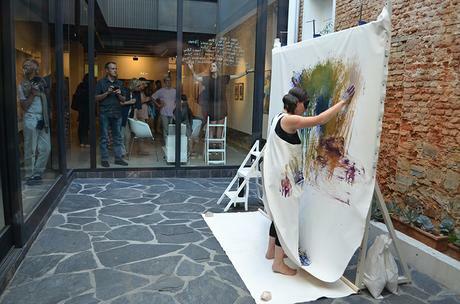 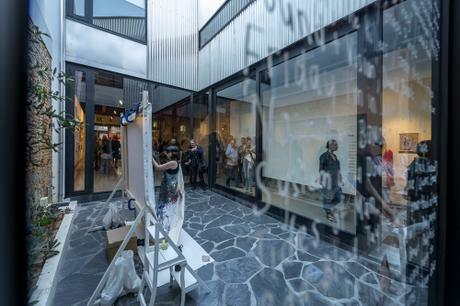 For this performance I set up a specially designed easel and canvas-apron in the courtyard of Smith Studio Gallery. 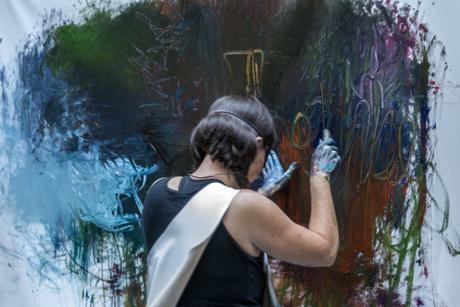 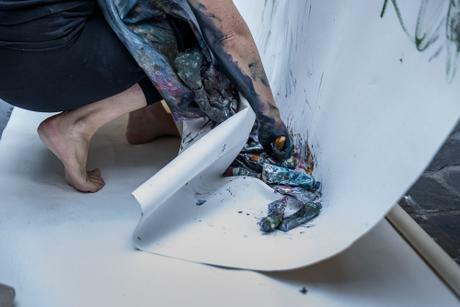 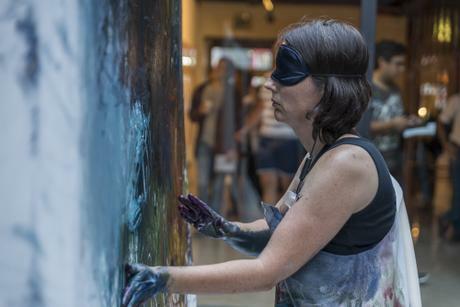 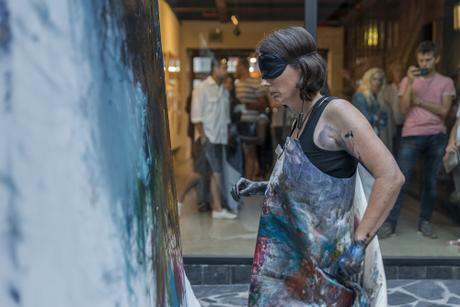 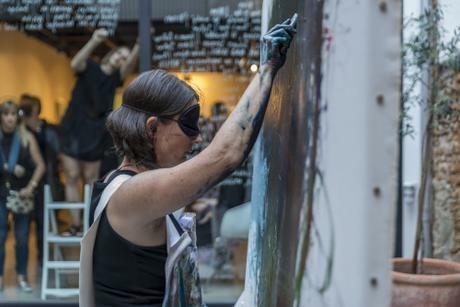 My role was to inhabit the canvas with a blindfold covering my eyes and a bluetooth headset in my ears. 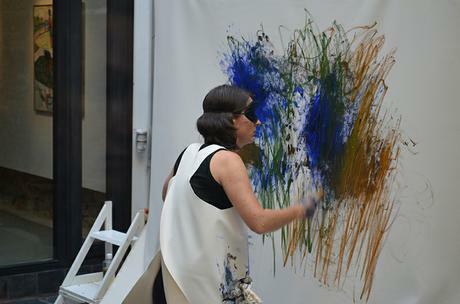 I then painted in response to sound selected by the visitors to the exhibition. 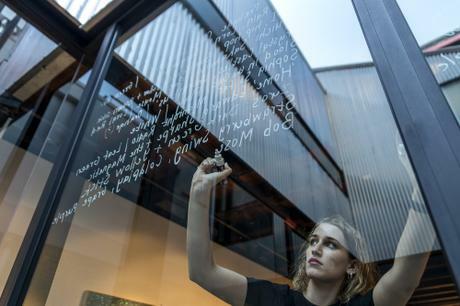 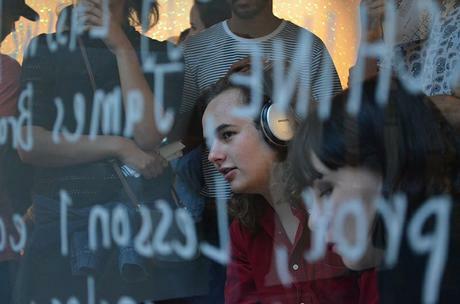 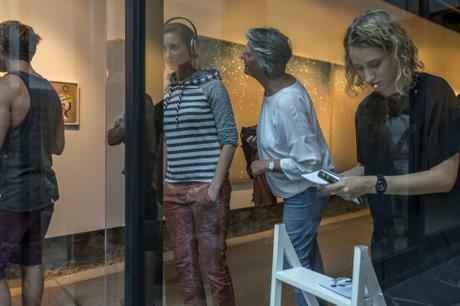 Two assistants, Gabrielle Kruger and Adrian Ranger helped to facilitate and record the visitors’ engagement. 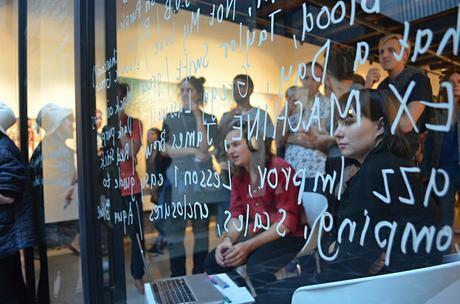 Thank you to Paris Brummer, Martin Kruger and David Smith for documenting the performance.